Pam’s Get All the Seeds Mod 1.12.2/1.11.2 for Minecraft is a small mod among many mods programmed by a famous Mod Developed called Pam. Some significant brilliant mod designed by Pam in Minecraft world are Pam’s Harvest Craft, Pam’s Bone Craft, Pam’s Desert Craft, etc. Besides, he creates many small mods to support the new player in Minecraft and Pam’s Get All the Seeds is one of them. 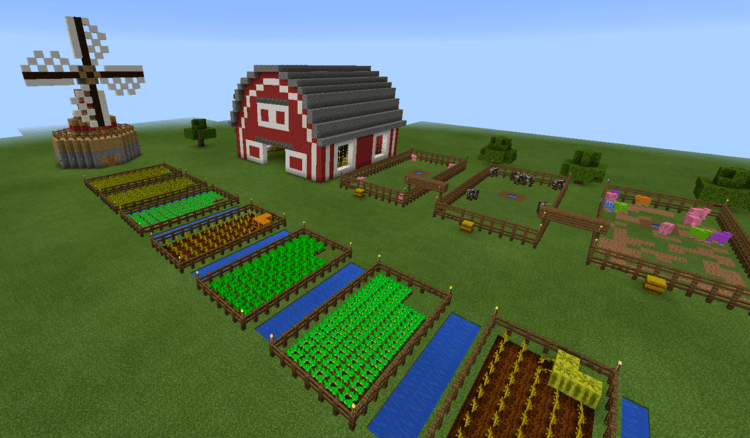 If you are a new player in Minecraft, when you create your world at the first time, you will realize that finding seed of Melon, Carrot or Potato is quite difficult. Pumpkin appears randomly in the world and cannot find it in some places. For that reason, it is a challenge for you when you need a stable amount of seed at the beginning of the game. 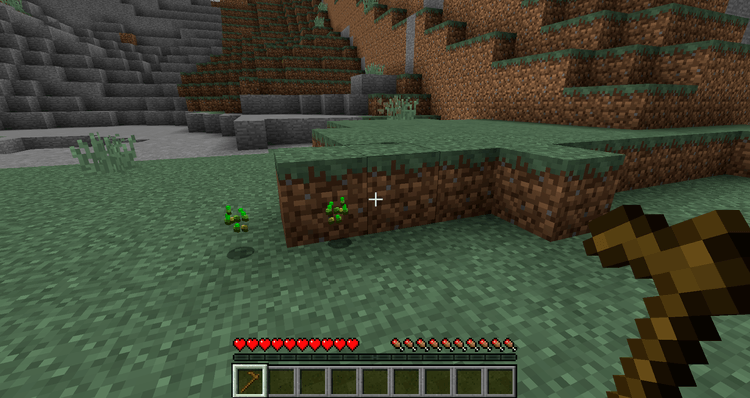 Or if you use a modpack requiring resource from that plant, you have to find them in a dangerous area like Mineshaft. 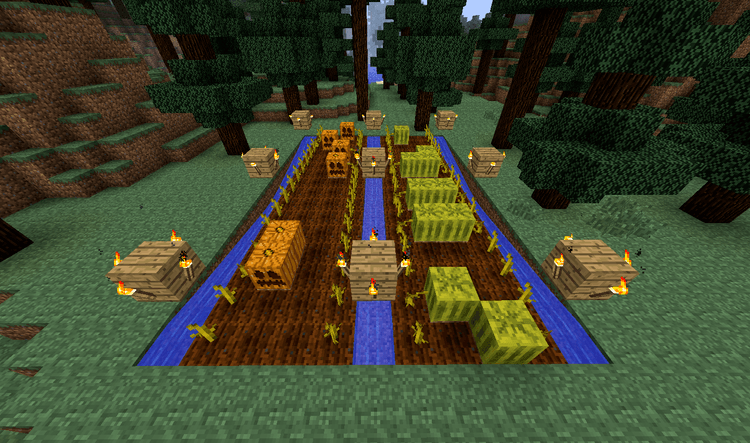 Pam’s Get All the Seeds is set up to harvest Pumpkin, Carrot, Potato by destroying Grass around you. Now it is not necessary for you to find those plants under dark and dangerous cave, or to kill hundreds of zombies to harvest Carrot and Potato. And of course, you also do not need to worry about the game balance because the rate for an item like Carrot and Potato fall is appropriate depression. 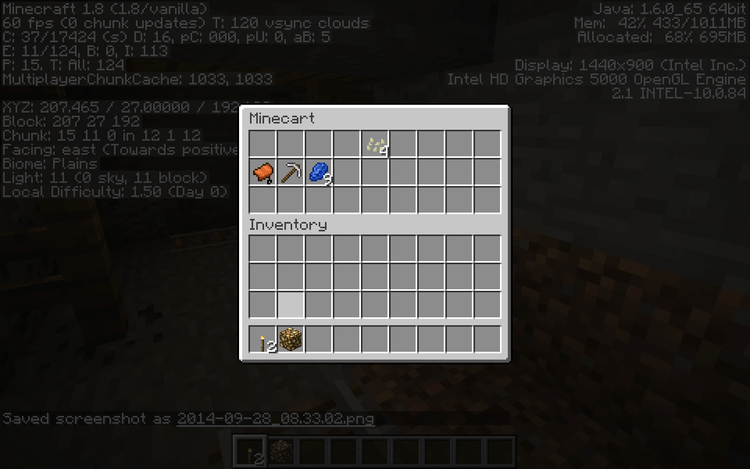 Pam’s Get All the Seeds requires Forge Mod Loader and Minecraft version 1.9.4/1.10.2/1.11.2, 1.12.2.